The Suncoast Center for Independent Living has now partnered with Florida Telecommunications Relay, Inc. (FTRI) to be the local service agent for the FTRI. Suncoast is located at 3281 17th St. in Sarasota. FTRI is a statewide non-profit organization that provides special telephones – free of charge – to Hard of Hearing, Deaf, Deaf/Blind and Speech Impaired Floridians to communicate with people who use standard telephones. Using highly trained operators, calls can be made 24/7, 365 days a year allowing Florida residents who need relay services to connect & communicate with anyone at any time. 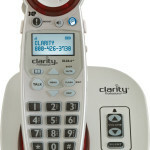 FTRI offers a variety of amplified telephones to meet the need of persons with a mild, moderate, or severe hearing loss. To learn more about the different types of amplified telephone please click on the telephone icon. These amplified telephones are available at the 17th Street location. For more information, see www.ftri.org/ and to schedule an appointment, please contact Fabiola Sannon, SCIL FTRA Specialist, at (941) 351-9545. The Hearing Loss Association of America advocates for equal access for the 48 million Americans with hearing loss. HLAA promotes self-advocacy and empowerment of people with hearing loss to ensure equal opportunity in the areas of telecommunications, employment, health care, education and community life. Here in the Sarasota/Manatee Chapter, we work at self advocacy in our Let’s Loop SRQ! campaign to assist the 145,000 people with hearing loss. Every member is requested to step up self advocacy this summer with three initiatives, the Publix Initiative, the Theatre Initiative, and the Loop Education Initiative. Last month’s Listen Up article by Anne Taylor, “Hear More Clearly with Hearing Loops” was an excellent primer on hearing loop technology. A review of that article at http://hlas.org/gondolier-articles-written-by-anne-taylor/ will assist in your self advocacy efforts. Also, appended below, please find an outstanding advocacy article* by Cory Schaeffer she prepared for “Listen Technologies”. The Publix Initiative—Publix has looped some of its stores at the pharmacy, checkout and information counters. Two of those stores are in our area, Longboat Key and Venice Commons. The Chapter’s Board, with the assistance of our intern, has made up packets on loop education and business benefits for every Publix manager in our two county areas urging them to “get in the loop”. We ask members, when in the area of Longboat and Venice, to stop by the store and thank the personnel for the loop. It is essential that corporate get positive feedback to expand the program. We also ask members to comment to the pharmacy counter and customer counter at your local Publix about how much a hearing loop would help them and also, as time permits, ask to speak to manager about it. The Theatre Initiative—thirteen of the live performance stages in Sarasota and Manatee County have been looped (some side cabarets have not). If you attend a show at e.g. the Venice Theater, The Manatee Players, the Players Theatre or any other production this summer, please, please, please “thank” the manager or anyone working there for the loop. Positive reinforcement is essential to keep the program going and expanding. When attending events, Board members often mention to hearing aid users that a lecture hall, a church or a theatre is looped and that they can use their t-coil. A response of a blank stare is not an unusual response. Even though Florida law** requires audiologists and hearing aid dispensers to educate their clients about the t-coil and loop, some professionals fail to do this. (The Chapter loves the professionals who have a loop in the office to demonstrate the t-coil). Many hard of hearing folks have no clue they have a t-coil setting or, if they do, what it is for. As part of our advocacy, we make education efforts to assist the hearing aid user to learn that the hearing loop can “open the world of communication to people with hearing loss” (HLAA Mission Statement). Please take the initiative to open the world provided by the hearing loop to fellow hearing aid users (the cochlear implant users are pretty savvy) and explain the hearing loop and the role of the t-coil setting to them. Hearing aids use a microphone to pick up and amplify sounds, like a conversation between people. While this works well when a hearing aid user is in close proximity (3 to 6 feet) and in quiet environments, it doesn’t work as well when the user is in a public space or venue, because of distance from the sound source and interfering sounds like background noise. Their hearing aids amplify all sounds. This is where assistive-listening systems help — add in the use of a hearing aid with a t-coil and it’s magical. A t-coil or telecoil, is a tiny copper wire found inside most hearing aids and can be used with assistive-listening technology to deliver the sound that is coming out of the sound system, directly to the person’s the hearing aid via the t-coil. Seventy percent of hearing aids are equipped with t-coils and 100 percent of cochlear implants utilize t-coils. When the t-coil switch is on, the hearing aid user hears the desired sound directly in his or her ear without the unwanted background, ambient noise. The sound hearing aid users hear when their t-coil switches are in use is transmitted via induction loop — room hearing loop or personal neck loop with RF or IR technology. In the United States, the Americans with Disabilities Act requires that venues and public spaces accommodate people with t-coil equipped hearing aids. Many people with hearing loss are unaware of the ADA requirements, so they won’t know to ask for the technology. To close the gap and to help people with hearing loss enjoy the experience when they are in public venues advocates are spending time educating. If audiologists and hearing aid specialists educate their patients about the technologies that are available (as required in Florida) like: t-coils, neck loops, room hearing loops, and assistive-listening devices, people with hearing loss will have better listening experiences. Florida Statutes, Chapter 484.044, Authority to make rules. (1) The board has authority to adopt rules pursuant to ss. 120.536(1) and 120.54 to implement the provisions of this part conferring duties upon it. (2) The board shall adopt rules requiring that each prospective purchaser of a hearing aid be notified by the attending hearing aid specialist, at the time of the initial examination for fitting and sale of a hearing aid, of telecoil, “t” coil, or “t” switch technology. The rules shall further require that hearing aid specialists make available to prospective purchasers or clients information regarding telecoils, “t” coils, or “t” switches. These rules shall be effective on or before October 1, 1994. 64B6-6.002 Requirements to Inform Prospective Purchasers Regarding Technologies. (1) The hearing aid specialist shall inform each prospective purchaser of a hearing aid at the time of the initial examination for fitting and sale of a hearing aid, any available information, including information based on personal knowledge and experience, of the telecoil, “t” coil or “t” switch technology. Said information shall include any advantages and disadvantages known to the hearing aid specialist, such as, increased access to telephones and noninvasive access to assistive listening systems required under the Americans with Disabilities Act of 1990. (2) Hearing aid specialist shall make available to prospective purchasers or clients information regarding the telecoil, “t” coil or “t” switch. The hearing aid specialist shall inform each prospective purchaser or client that said information is available. The Chapter has addressed the benefits of retraining the brain to hear in noise at Chapter meetings. One of the products discussed is LACE, listening and communication enhancement. Even people with normal hearing can have poor listening skills and miss portions of what is being said. For people with hearing loss—even those with hearing aids or cochlear implants—understanding speech in difficult listening environments can be a real challenge. The good news is your brain can be retrained to listen. LACE is an interactive training program that helps improve your ear-to-brain muscle memory. The LACE HE (Listening and Communication Enhancement Home Edition) program, designed for use on your home computer, develops and hones your listening skills in 20-minute daily sessions. http://store2.neurotone.com/lace-hearing-listening-program-p/15-1-v40.htm , and enter the discount code — LACE4HLAA. Florida has among the highest percentages of residents with hearing loss in the US, approximately three million Floridians. Yet many don’t know there are resources available to fit their needs. For residents in Sarasota, a new innovation has arrived. Florida Telecommunications Relay, Inc. (FTRI), the non-profit distributor of specialized telecommunications equipment for people with hearing loss and speech challenges, is offering a new amplified telephone at no cost to local residents with hearing loss. And it is available at a local distribution center, Community Center for the Deaf and Hard of Hearing of Manatee and Sarasota Counties. 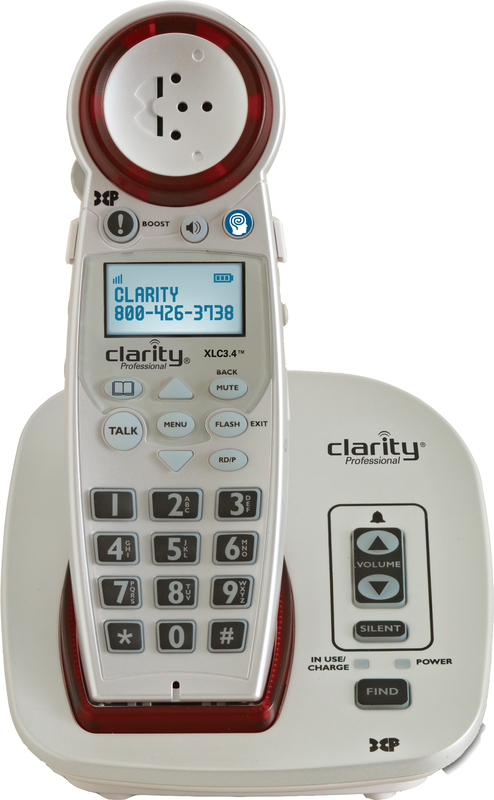 Developed by Clarity, the XLC3.4 is an easy-to-use cordless phone with talking Caller ID that boosts incoming sounds up to 50 decibels. The XLC3.4 is designed specifically to meet the needs of those with varying degrees of hearing loss. The XLC3.4 features the digital amplification found in hearing aids to increase sound up to 50 decibels. The phone also amplifies outgoing speech up to 15 decibels so everyone on the call hears and understands clearly, and it features a loud and clear speakerphone for hands-free conversations. The Talking Caller ID announces the incoming caller so users don’t miss calls. And the illuminated Talking Dial Pad announces the number as users dial. Plus, the large, easy to read buttons help people with vision. Amplified telephones work, and qualifying for FTRI is simple. Even if you missed the FTRI booth at the 4th Annual Hearing Tech Expo, if you are permanent Florida resident certified as having hearing loss, you can obtain the XLC3.4 at the Center for the Deaf and Hard of Hearing at 1750 17th Street, Bldg. F, Sarasota, FL 34234. 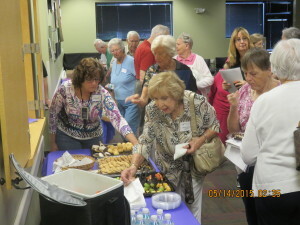 More information can be found online at http://www.ftri.org/sarasota13 or by calling 941-366-0260. 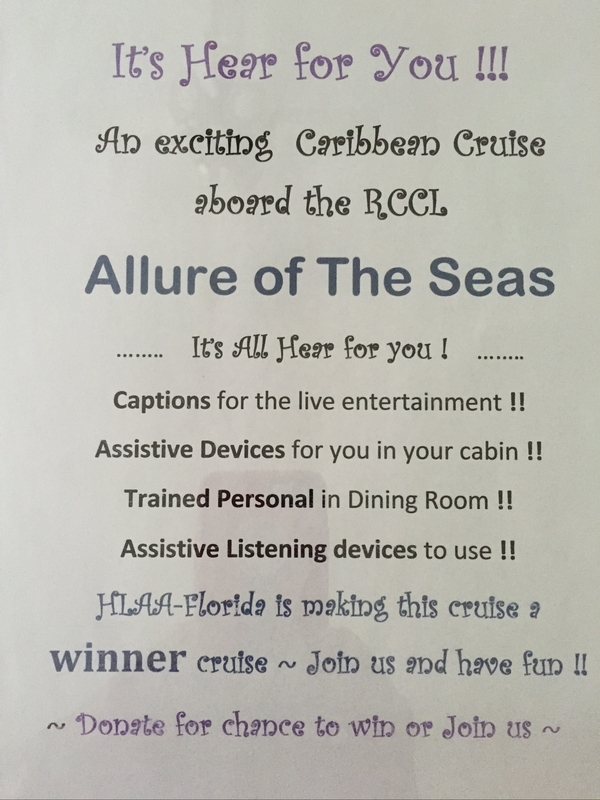 HLAA- FLORIDA STATE ASSOCIATION TAKES TO THE SEAS! 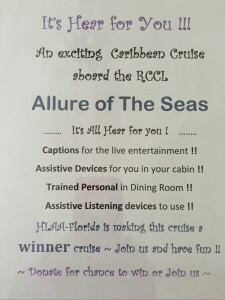 Florida’s HLAA Chapters have met the minimum requirements for a free cruise and are offering that FREE CRUISE to any member or friend who wishes to donate to any Florida HLAA Chapter between now and August 1st. A $10 donation is suggested. See Anne Taylor of JoAnne DeVries at the next Chapter or After Hours meting for your ticket. Whether you win or not, you can still join fellow HLAA members from Florida for a fun pre-holiday break and a fundraiser for advocacy, education and support of the hearing loss community. You can book with the group with $250 per person deposit is anytime until August 1st at which time full payment is due. Some cabins may be unavailable so best to at least put deposit to hold a cabin of choice. The flyer with more information is a click away. Arlene Romoff, advocate and author gives an enlightening five-minute crash course on hearing loss advocacy. We conclude our yearlong celebration of Rocky Stone, HLAA’s Founder. HLAA is built on confidence in the human spirit and the determination to get hearing loss into a positive perspective. It’s working. In spite of the fact that many persons who had been in the field of hearing loss for years assured me that it would not work, it has worked. 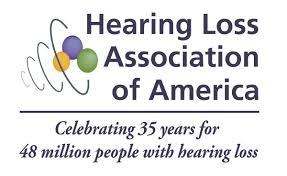 It is working because the great majority of persons with hearing loss who became members of HLAA just needed a little help; a little company; a little assurance that they are okay; a little education, information, shared experience and support.